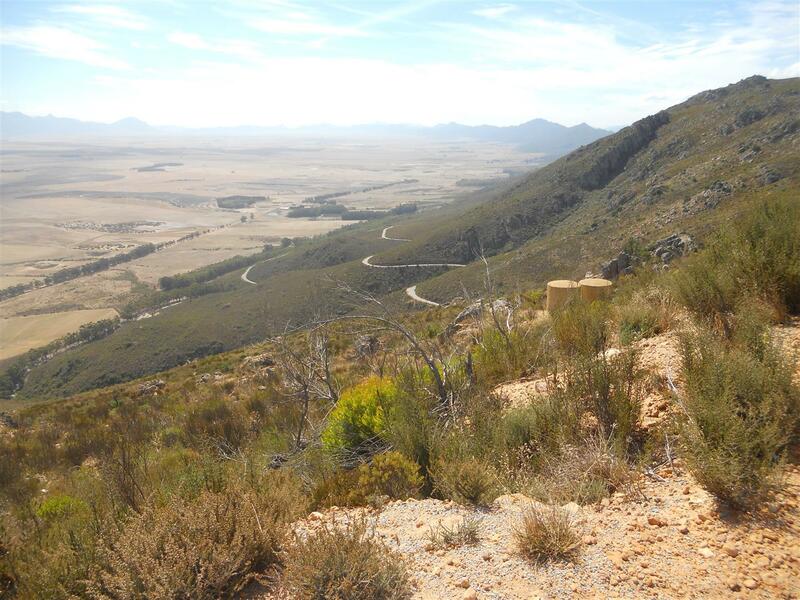 Early on Good Friday 2013 we pointed the trusty steed towards the Dasklip Pass outside of the Western Cape town of Porterville, gateway to the Groot Winterhoek Wilderness Area. As soon as we reached the top of the pass we were surrounded by thick mist, a testament to how suddenly the weather can change in the mountains. The drive from Cape Town to the Forest Station took about 3 hours and we arrived just before 10am to a locked and deserted office. Unperturbed we completed the hiking register and set off to “Jail”. 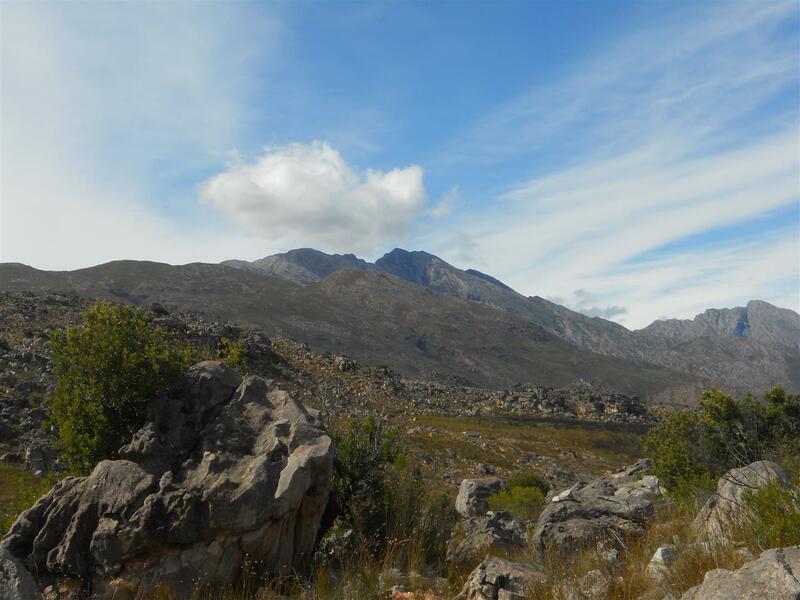 The hike starts along a jeep track for about 1km before a sign to the colourfully-named “De Tronk” (Dutch, meaning Jail) and “Die Hel” (Afrikaans for Hell) points to the trail heading downhill over a rocky ridge. 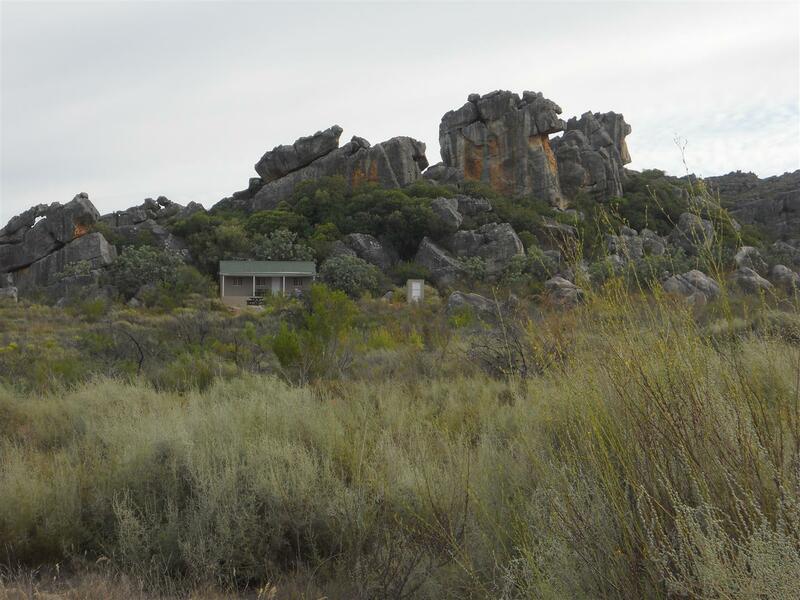 The trail follows the Groot Kliphuis (Big Stone House) river to De Tronk. The interesting names of this area are a treat in themselves. Groot Winterhoek roughly translates to Big Winter Corner, but at the end of March we were still treated to lovely weather. In fact, the mist soon lifted and we had a beautiful summers day. 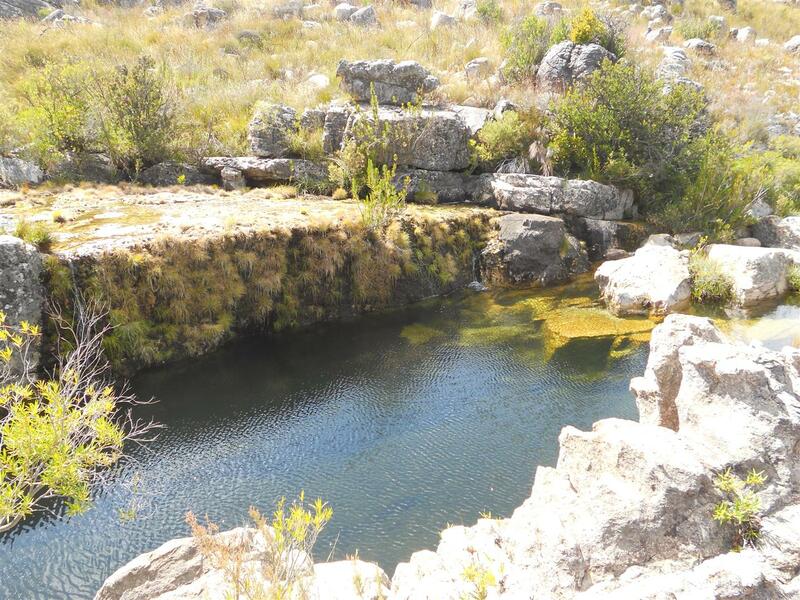 Just as well because the river trail takes the hiker past some gorgeous rock pools, which we promptly made use of. The trail is uneven underfoot, but the gradient is reasonly easy most of the way and there are no scary exposures anywhere. 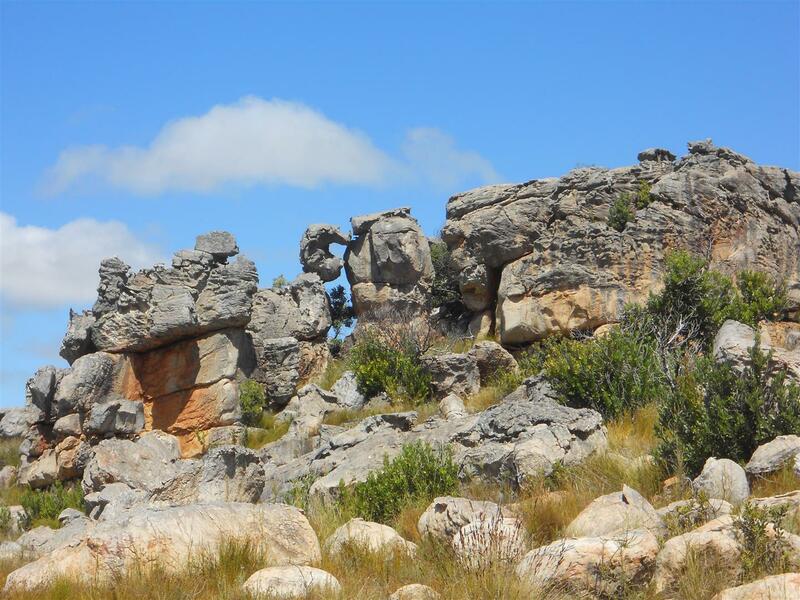 The Groot Winterhoek area is famed for its fantastic rock formations and the trail wends its way around many of these – be sure to allow extra time for numerous photo opportunities. 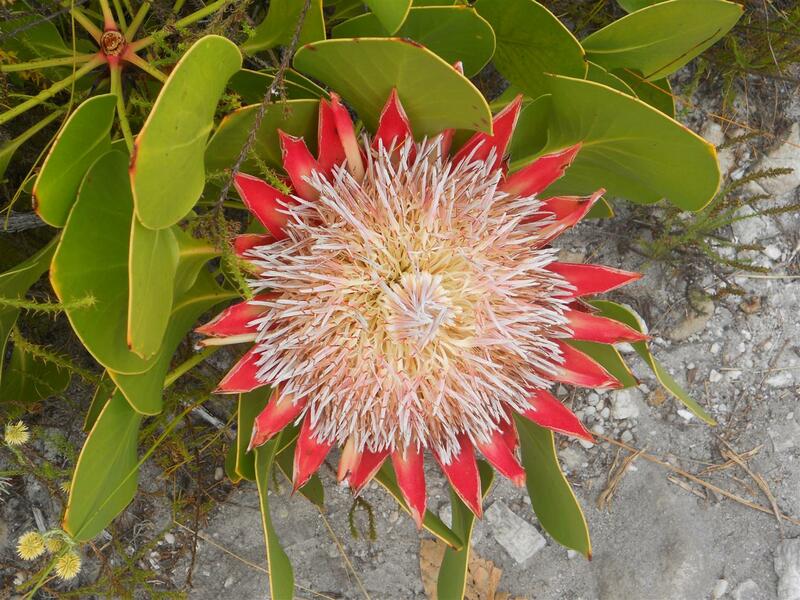 The beautiful rock pools and wild flowers like ericas and proteas also had me stopping often to snap away. 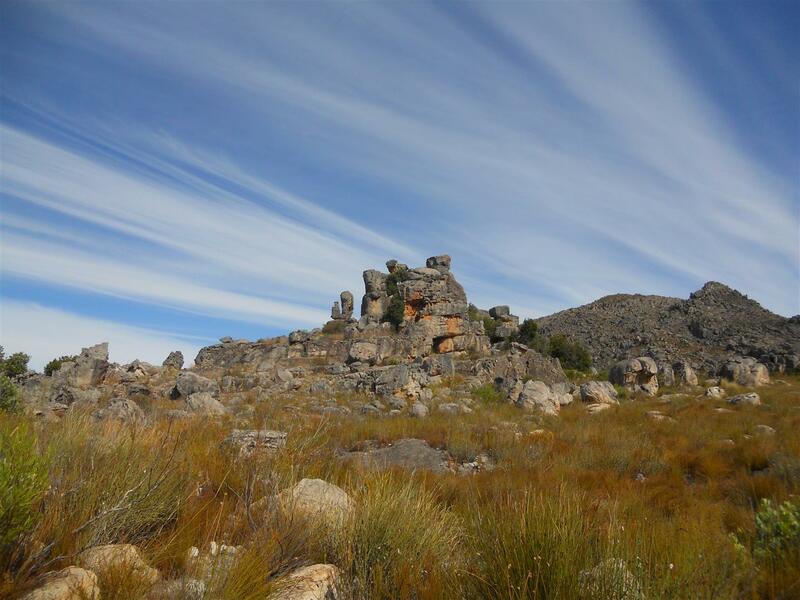 Groot Winterhoek Peak itself however, kept its head firmly in the clouds. Just before the path joined the jeep track which is the home stretch to De Tronk we spotted one of its huts, long before we actually expected it. I even imagined that I could see an inviting green lawn. We had done about 9km of what is supposed to be a 13km hike. Yay! We would be there soon which was nice to know as the day was getting a bit hot. Was our map wrong? Alas, the map was right. Although the hut seemed within touching distance, it was actually another 3km of dipping down to the river and climbing out the other side before we finally reached the first hut. Tiring walking on the sandy-rocky-sandy surface of the jeep track. And the lush lawn turned out to be rhenosterbos (Afrikaans for Rhino Bush) reclaiming old pastures. For those wanting a roof over their heads, De Tronk has quite a range, depending on your standards. We took a look at each of them. 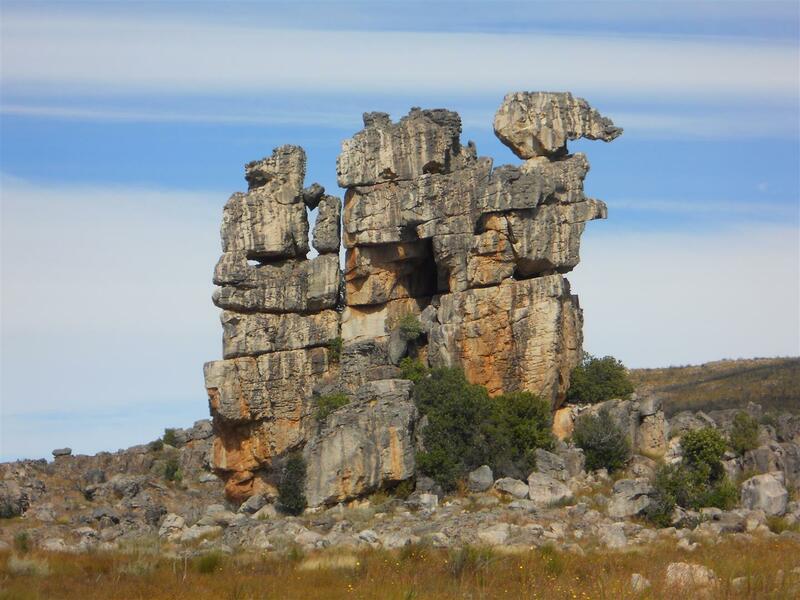 De Tronk used to be a farm which has been returned to nature after the proclamation of the wilderness area in 1985. Apparently the owners gave it this odd name – “Jail” – due to the fact that the farm used to be cut off from civilisation by swollen rivers in winter. Four of the ‘basic hikers huts’ are just that – basic accommodation with no frills, but everything the tired hiker could need. There is also a converted farm house which is the fifth hiker hut. Amongst the scattered buildings we ran into a troop of baboons but thankfully they did not seem to be out to part us from our food supplies and soon went their own way. Intrepid hikers that we are, we had not booked a hut at De Tronk, opting instead to camp in our tent. Walking beyond the last hut we found a nice spot under huge oak trees and set up said tent, only to find it would be quite a schlep to collect water. I did some scouting around the area and soon found a beautiful spot under some more oak trees. This site came with a handy, clear stream right next door. Thanks to the wonder of modern tents it was a simple task to pick up our abode and carry it the 150m or so to the new campsite. To any onlookers we would have presented quite a spectacle, the two of us carrying our bright orange home-from-home down a dusty track. Our new campsite was certainly a lovely spot. Groot Winterhoek Peak finally appeared, painted purple by the setting sun, the ancient oaks gently swaying overhead, the stream babbling nearby, and the perfect evening. Supper was quite the gourmet affair: home-marinated Porterhouse steak cooked to perfection – in a dixie! -, pasta with a nice sauce, and the obligatory bottle of wine. This is the Cape, after all! Hikers on this route normally take an extra day to take in Die Hel, some 5km on from De Tronk. 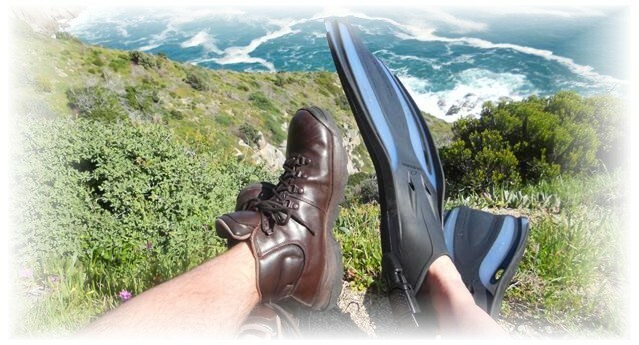 As we were only on a 2-day trip we however retraced our steps along the Groot Kliphuis river the following day. Although you follow the same path back, it is by no means a boring repetition of the previous day – there is just so much to see. It is possible to follow the jeep track back to the start instead of the river path, but by all accounts that option is not recommended due to the lack of water on the route, and of course you miss out on the swimming spots. We made full use of these, splashing amongst tadpoles and some very inquisitive fish. I must confess that the heat and the uneven ground started wearing me down towards the end, and despite the beauty of the surroundings I was quite glad to be back at the car. Mike Lundy’s route description was correct: your legs end up tired, but you won’t be out of breath. However, a most worthwhile outing. There was still no life at the office, so we signed the hiking register to show that we had made it back, and pointed the steed back to Cape Town. We will certainly be back to explore this area further.